A townhome is preferable if you don’t want to deal with petty neighbors or a condo board, and you’re comfortable with managing a building. A condo is a better idea if you don’t wish to deal with building maintenance and repairs, and prefer a more passive approach to ownership. 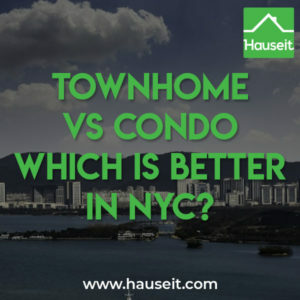 We’ll discuss some of the pros and cons of buying a townhome vs condo in NYC in this article, and give you real life examples of what could go wrong with a condo board, as well as the nuisances you might face as a townhome owner. If someone wants to buy your property, they won’t have to fill out a condo purchase application and wait for the board to give their right of first refusal. In fact, the buyer won’t have to deal with anyone except yourself and your listing agent if you decide to sell your home with a real estate broker. Even though condo boards are much less powerful in theory than co-op boards are, many condo boards in NYC truly act and behave like overbearing co-op boards. You’ll see many condo buildings with purchase applications that rival co-op board packages in length and intrusiveness. Ironic, considering that condo boards don’t have the right to approve or deny prospective purchasers like co-op boards. In fact, condo boards only have the ability to exercise their right of first refusal, meaning that they can only reject a prospective purchaser if they round up the funds to buy the condo for sale at the same terms and price as the potential buyer. Since condos cost millions of dollars on average in NYC, it’s extremely rare to see a condo board exercise their right of first refusal. In theory, this right is meant to protect the building against fire-sale prices or perhaps insider deals to friends and relatives. Pro Tip: Sneaky condo boards can hijack a sale process by repeatedly claiming that the condo purchase application is incomplete, and thus giving them another 30 days before they have to exercise or waive their right of first refusal. Do this enough times, and the buyer will usually give up and pursue another deal. One of the main benefits of buying a townhome vs condo is that you’ll be the sole owner of the entire building and lot. As a result, you’ll be the sole decision maker when it comes to your property and you won’t have to get the board’s permission to do renovations and you won’t get fined for leaving your stuff in the hallways. If you have a townhome, you won’t be surprised by special assessments levied by your condo board to do mandatory upgrades that some may consider optional. For example, if you’re not on your condo board, you can easily be surprised one day with a letter saying that everyone must pay thousands of dollars to upgrade their video intercoms. Even though you wouldn’t have agreed to the expense because the old intercom worked perfectly fine, you won’t have a choice because the board voted for it. 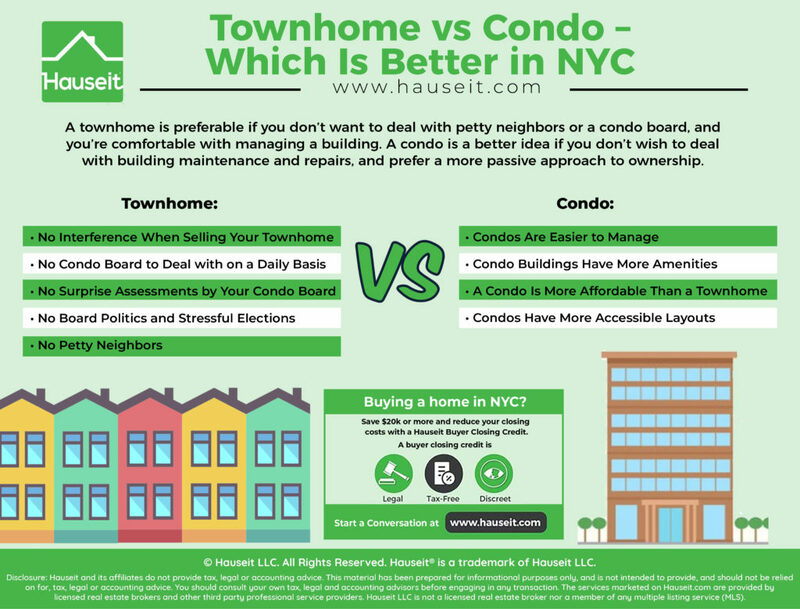 Buying a townhome vs condo means you’ll save lots of time from playing building politics and dealing with stressful board elections. After all, whoever gets elected to the board will ultimately control the building and many aspects of all the residents’ lives. Ideally, the people who get elected to your condo board are responsible, honest individuals who are volunteering their time in good faith for the good of everyone in the building. However, many times the only reason people campaign to get elected to their condo board is to secure advantage for themselves. Sometimes, it’ll be little things like condo board members making sure their units get preferential treatment as to who gets building wide upgrades first. In nightmarish scenarios board members and the contractors and managing agents they work with are corrupt and literally use the building’s funds for their own personal use. Pro Tip: Condo boards can be just as corrupt as co-op boards when it comes to elections. We’ve seen too many examples of condo board members literally preventing new people from running for elections. For example, the managing agent might send out a slate of 5 candidates for the board for the 5 total seats on the board. The managing agent will send this out weeks before the election, but won’t notify anyone in advance that they can add themselves to the slate. If someone asks to be added to the slate after it has been sent out, they’ll be told that it’s too late. If someone asks to be added to the slate before it has been sent out, it’ll simply be ignored when the slate finally goes out. So year after year, you’ll see the same 5 people on the slate for the 5 total slots on the board. Even worse, the managing agent will put himself as one of the board members for the seemingly innocuous reason that it’s easier to execute affairs on behalf of the board by doing so. Buying a townhome vs condo means you won’t have to deal with any petty neighbors on your floor or in your building. In a condo, petty neighbors can be more than a nuisance if they are on the condo board and like to hold grudges. Perhaps you held a party on the roof four years ago and they’re still mad at you about it, even though you paid a fine, and they want to teach you a lesson. Perhaps it’s some other perceived slight from months ago, when you didn’t properly acknowledge them in the hallway. In any case, New Yorkers can be absolute nutters, so you’ll have to deal with these type of people both on the streets and in your building. So what can your nutter condo board members do to you? They can make your life difficult with unfair fines. For example, a condo board can make you pay a move-out fee of $500 even though your apartment is empty. Whereas a normal person might waive that fee, a petty person might insist that you pay this fee even when unwarranted just to teach you a lesson. Even worse, condo board members who are out to get you can keep a sharp eye out for any potential infraction you might have made. For example, as a condo owner you might not have thought twice about replacing their windows, especially if they look identical and the building is not landmarked. However, the board may literally have the super climb a ladder to inspect the windows, and say that because the material isn’t exactly the same, you’ll have to remove and throw away the windows. Then, they’ll make you buy new windows of a slightly different specification or material, just because they can. So when in practice they could have saved you $10,000 and not made you throw away perfectly good, new windows. They’ll be spiteful and make you pay another $10,000 for new windows because they can. After all, what other alternative is there but to start a costly legal battle that you might not win? Condos are inherently easier to manage and maintain than a townhome or house because all of the common elements are not your responsibility. In fact, as a condo owner all you’ll have to worry about is the interior of your apartment. Everything else, including the hallways, exterior walls, elevators, roof, boilers, water tank etc. are the responsibility of the building and its professional building management company. As a result, you’ll never have to worry about sourcing quotes from contractors to repair a leaking roof. 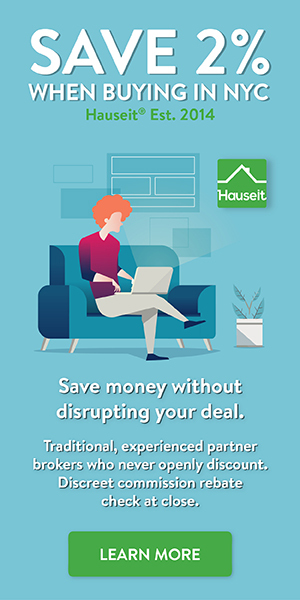 All you’ll need to do is pay your monthly common charges, and the condo board and managing agent will deal with the rest. Pro Tip: Condos are the favored real estate investment type for most investors, especially more passive ones or foreign investors who don’t have the time or desire to personally manage their properties. Condos are also popular with smaller investors who don’t have the scale to set up their own property management businesses or who only have a few units to rent out. Condos in larger buildings will usually have a plethora of amenities for residents from swimming pools, lounges, parking, doormen, gyms, saunas, steam rooms, roof decks to laundry rooms. Even smaller buildings might have private storage and a laundry room, and sometimes a small gym. As a result, you’ll find more of a community and simply more to do within your building by living in a condo vs townhome. In contrast, most townhomes in New York City are relatively small structures that consist of living space only, and usually will not have an elevator. The occasional townhouse might have parking included, and most will have decks or patio on the back. However, the level of amenities you’ll have in your typical townhome won’t be anything near what you’ll find in a larger condo building in Manhattan or Brooklyn. 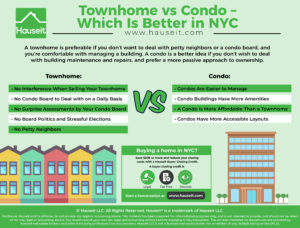 Buying a condo is more within reach for most New Yorkers than buying a townhome. A townhome will typically have significantly greater square footage than your typical condo, and as a result will cost much more. Furthermore, townhomes in hyper gentrified areas like the Meatpacking District or the West Village will command a greater premium in price per square foot vs most re-sale condos and co-ops. Of course there are many new development, ultra-luxury condos that can cost far more than your typical townhome, but we’re speaking here in generalities. In general, townhomes will be much more expensive than an individual condo because of the greater square footage and the premium that comes from owning your own building and not having to deal with neighbors. Condo apartments will usually be spread out on a single floor vs a townhome which may consist of three or floor relatively cramped floors connected by a narrow staircase. Many people will prefer the open, single floor layout of your typical condo vs having to climb stairs constantly in your typical single family brownstone. Furthermore, condos might have higher ceilings, especially if they are lofts or duplexes. In contrast, it’s rare to see higher, loft-like ceilings in your typical townhouse. Many New Yorkers might feel cramped in a townhouse, and may simply not like being cut off from their family members by multiple floors.